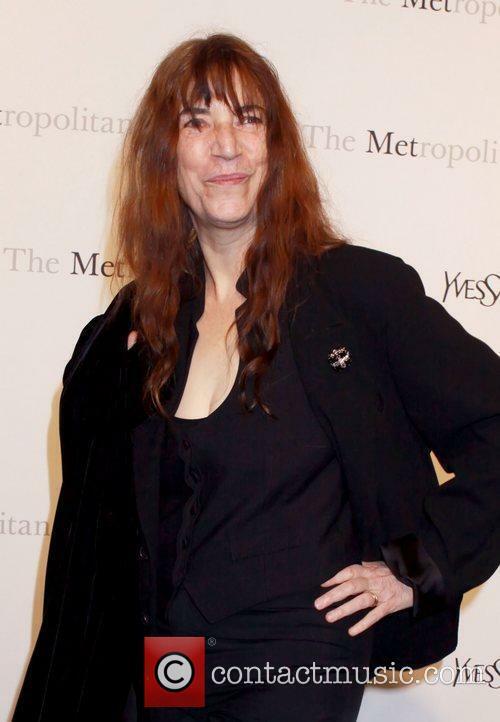 Patti Smith is an American singer, songwriter, poet and visual artist. 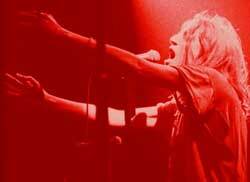 She rose to fame as a part of the New York punk movement in the late 1970s. She was inducted into the Rock and Roll Hall of Fame in 2007. Childhood: Patti Smith was born in Chicago, to Beverley (a jazz singer) and Grant (who worked at the Honeywell plant). She was then raised in Deptford Township, New Jersey and was raised as a Jehovah's Witness. However, she later rejected organised religion and on her cover of 'Gloria' (originally by Van Morrison), she starts with the line "Jesus died for somebody's sins but not mine." Patti went to work in a factory, as the family was not an affluent one. Her time here was later immortalized in her debut single, 'Piss Factory'. In 1967, Patti Smith moved to New York City, where she met the photographer Robert Mapplethorpe. Two years later she moved to Paris with her sister and started busking. 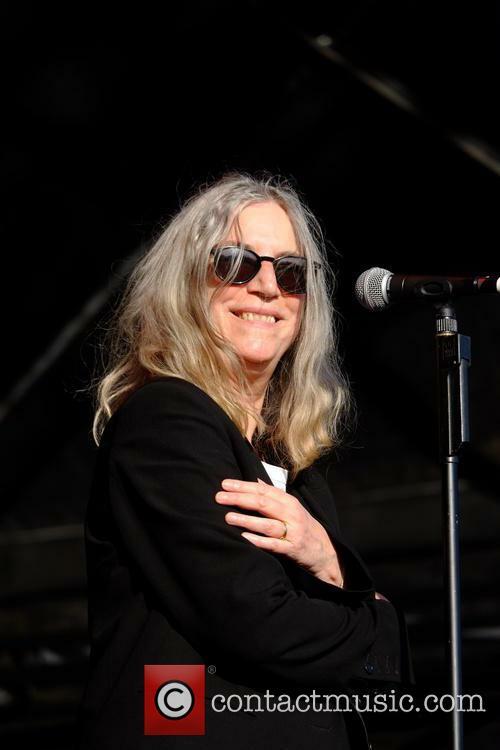 Music Career: When Patti Smith moved back to New York City, she started to hang out at venues such as Max's Kansas City and CBGB's where bands such as The Ramones, Blondie, Television and The Dead Boys all began their careers. She collaborated with Mapplethorpe on a number of art projects, and starred in Jackie Curtis' play Femme Fatale with Wayne County. She also performed in Sam Shepard's Cowboy Mouth. She also contributed lyrics to Blue Oyster Cult. In 1974, Patti Smith decided to get a band together. That band consisted initially just of herself and the guitarist Lenny Kaye, but they were later joined by Jay Dee Daugherty on drums and Ivan Kral on bass. Their debut single was a cover of Jimi Hendrix' 'Hey Joe', backed with 'Piss Factory'. In 1975, having signed a deal with Arista Records, Patti Smith Group released their debut album, Horses. The album was produced by John Cale of Velvet Underground. The second album, Radio Ethiopia was not as well received as its predecessor, but Smith still performs many of the songs from this album when she plays live. Two more albums came, before the end of the 1970s: Easter and Wave. The former contained her biggest commercial hit, 'Because The Night', which was co-written with Bruce Springsteen. After a hiatus from recording music, Patti Smith staged a comeback in 1988, with the release of Dream Of Life. 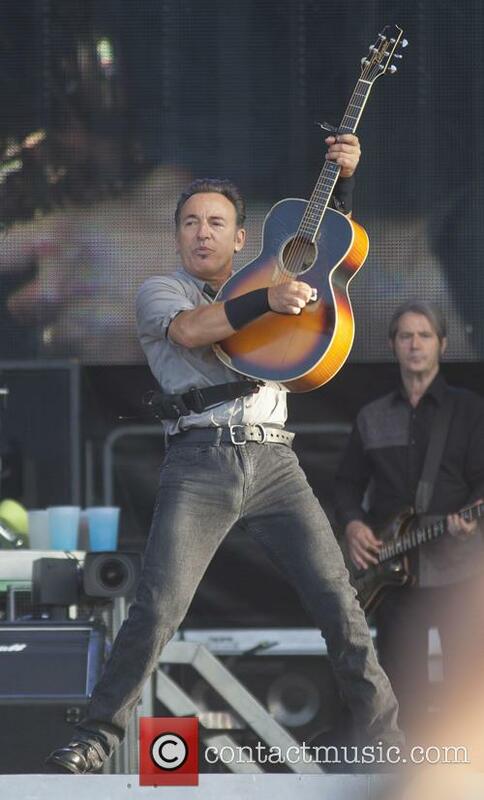 The lead single from the album was 'People Have the Power'. Patti Smith then took another extended break from recording, not returning to the limelight until 1996, when she recorded Gone Again. The album contained the track 'About A Boy', which was a tribute to the late Nirvana front-man, Kurt Cobain. Later that year, she collaborated with Michael Stipe of R.E.M. on the track 'E-Bow the Letter', off R.E.M's New Adventures in Hi-Fi. The albums Peace and Noise and Gung Ho followed, with the tracks '1959' and 'Glitter In Their Eyes' being nominated for Grammy Awards for Best Female Rock Vocal Performance. In 1996, a box set of her work was released, entitled The Patti Smith Masters. This was followed by Land (1975-2002), a two disc retrospective that also included a cover of 'When Doves Cry' by Prince. Also in 2002, a solo exhibition of Patti Smith's artwork was staged at the Andy Warhol Museum in Pittsburgh. In 2004, Patti Smith released a new album entitled Trampin'. The following year, she curated the Meltdown festival in London. She performed her debut album in its entirety, with Television's Tom Verlaine on guitar. She also gave a lecture on the works of Arthur Rimbaud and William Blake. When she was inducted to the Rock and Roll Hall of Fame, she performed a cover of 'Gimme Shelter' by the Rolling Stones. 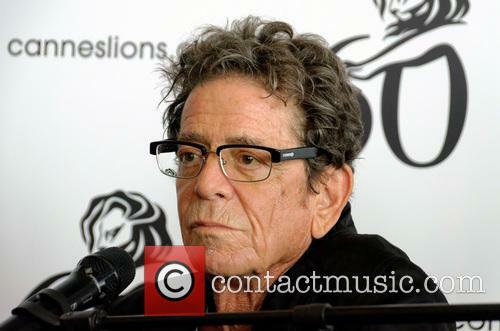 She has often cited Keith Richards as a huge influence, both on her music and on her image. In 2008, a live album was released, which featured a collaboration between Patti Smith and Kevin Shields (formerly of My Bloody Valentine). The album was entitled The Coral Sea (also the name of a book of poetry by Smith). A huge number of artists have cited Patti Smith as an influence on their music, including Shirley Manson of Garbage, Morrissey and Johnny Marr of The Smiths and Sonic Youth. The Canadian actress Ellen Page also has a dog named Patti, after Patti Smith. Personal Life: After splitting from her long-term boyfriend Allen Lanier, Patti Smith married Fred 'Sonic' Smith of the Detroit band MC5. They have two sons, Jackson and Jesse. In 2009, Jackson married Meg White of The White Stripes. Her husband Fred died in November 1994. Patti then had to deal with the death of her brother Todd and her keyboard player Richard Sohl. The singer was moved to tears after being reunited with her stolen items. Patti Smith has had items returned to her, nearly 40 years after they were stolen from her tour van. The singer was moved to tears as she was reunited with the items during a reading in support of her new memoir M Train at Illinois’ Dominican University. 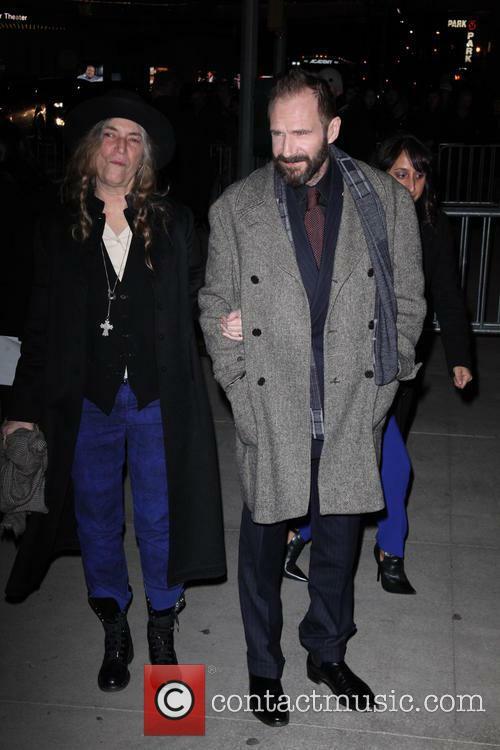 Patti Smith has had her stolen items retuned 40 years later. During the reading Smith as approached by a fan named Noreen Bender, who gave her a bag containing items believed to have been stolen from her tour van in 1979 following a local gig. Yoko Ono has announced the bulk of the names for her Meltdown Festival line-up to take place in London this year, with the former wife of John Lennon staying true to her vision to create a line-up based on concept and not going all out for big names for the sake of it. Names announced for the event, which takes place at London’s Southbank Centre for a week and a half in June, include Patti Smith, Boy George, Siouxsie Sioux and Iggy and The Stooges. Back in November, upon the announcement that Ono would be taking on the curator’s role, she commented "I'm not pursuing big names for the sake of big names. I'm thinking along the lines of a concept, which is more refreshing. There will definitely be an element of feminism and the plight of women … [and] I am thinking of having one or two events where I ask men to say something strong about themselves too." That’s certainly a concept she’s stuck too with the line-up announced so far. 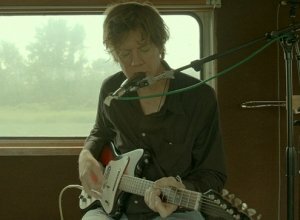 Alongside these more established names, Ono also has the likes of up and coming post-punk group Savages, as well as the likes of Kim Gordon and Thurston Moore, formerly of Sonic Youth, Peaches and comedian Reggie Watts. Ono herself will perform with the Plastic Ono Band. Additionally there will be various talks, panels and film screenings over the event. "It's not only a great honour to curate Meltdown in its 20th year," Ono said in a press release, according to The Guardian "it's also a lot of fun." Patti Smith's eleventh studio album Banga may be named after a dog, but it certainly isn't one. While the high priestess of punk poetry may still be a challenging proposition for the casual listener, her unique brand of literary grown up rock is rewarding nonetheless. At the age of 65, she serves up a thick soup of images drawn both from the front pages of the newspapers and the deep recesses of the history books. It also seems that Patti's recent memoir Just Kids has reinvigorated her creative juices. Banga is her first album of original material since 2004's Trampin' (2007's Twelve was a covers record), however it bears many of the hallmarks of her earliest material, not least because Banga was released on the 36th anniversary of her debut Horses and was recorded in the same studio. Another parallel is that there's urgency to her performance which ultimately overcomes some of the problems of the dense and sprawling lyrical reference points. 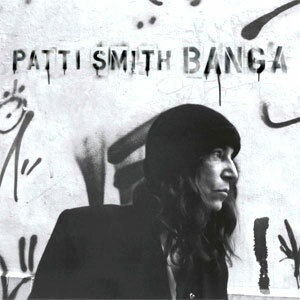 Musically, Banga is more focused than much of her more recent work, primarily because Lenny Kaye's guitars don't allow the tracks to become a pleasant backdrop for Patti's musings. "Hey, wake up!" Patti says on opener 'Amerigo', as she re-imagines the 1492 discovery of the new world. It's a sign that much of the material here has a dreamlike quality. That includes the rose tinted nostalgia of 'April Fool' and the improvisational reflection of classical history throughout 'Constantine's Dream'. There's also a strong religious undercurrent with monks praying at the start of 'Fuji-san', and elsewhere talk of baptism and heaven. But Patti's lyrics don't ever feel heavy-handed; they're instead waiting to reveal their secrets with each subsequent listen. 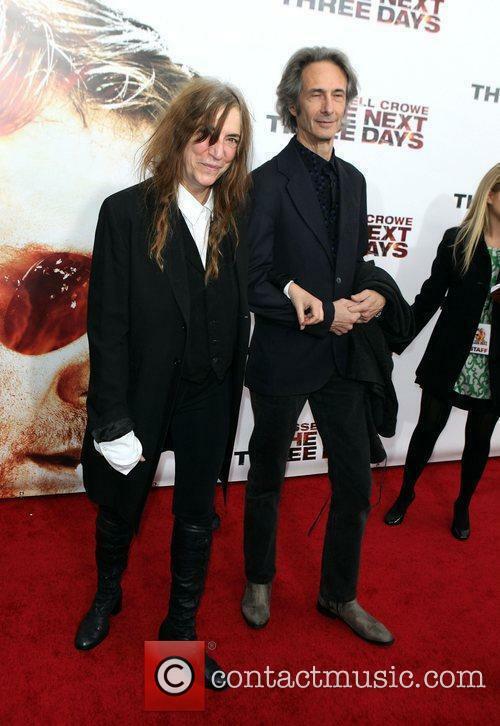 Punk rocker Patti Smith and country/rock artist Neil Young arrive at the New York Book Expo America to set up for Smith's interview with Young about his new book 'Waging Heavy Peace'. Smith finds her microphone is too loud after she tries talking to a member of the audience.